This is a new product from McVities, normally famed for there biscuits. 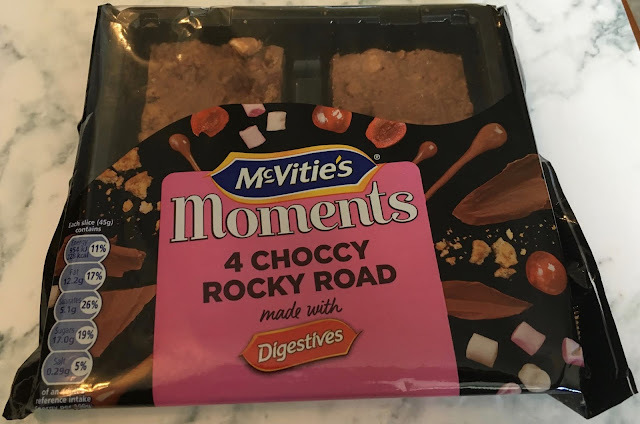 They are a tray baked item, and there are four squares in the packet, they are called McVities Moments Choccy Rocky Road. Each one consist of a biscuit base, and it topped with chocolate, marshmallow and cherries, which sounds like an excellent combination. There is a lot of chocolate in the recipe, and I am quite happy with that as I was really enjoying the cocoa flavour. As you can imagine being made by McVities, biscuits feature heavily in the flavour too, and the wholesome taste of Digestives shines through as the base is made with these. It was firm, but not hard to bite through. I liked the addition of the marshmallow chunks as these added a fun squishy texture and an extra bit of sweetness. The cherries worked well, they broke the flavour up with a good sweet and sour taste, they also added a nice juicy element to the texture. 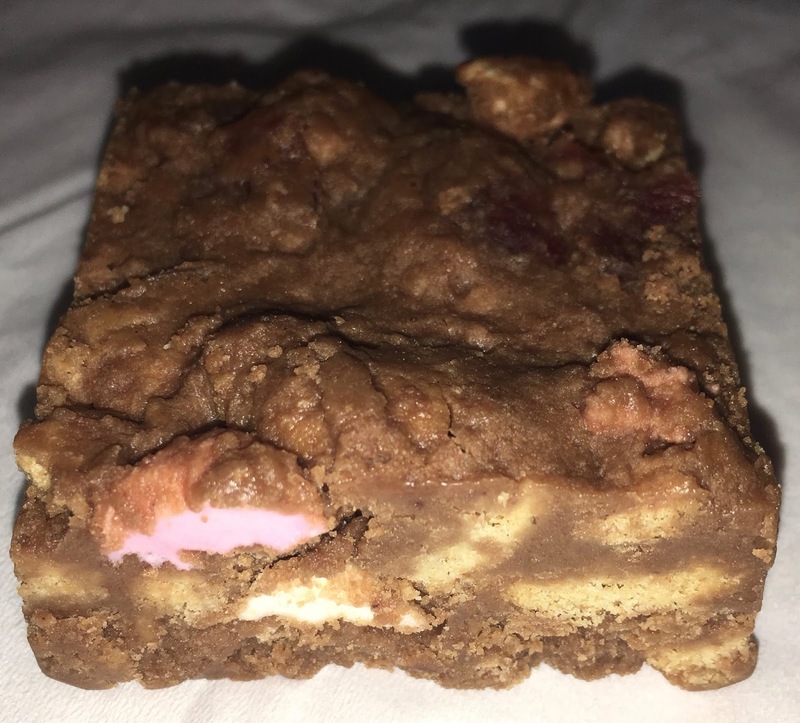 I like a mix of textures so Rocky Road works well for me. These were a fun snack to eat, with lots of chocolatey goodness and a nice Digestive biscuit flavour, which is in keeping with the McVitites name.